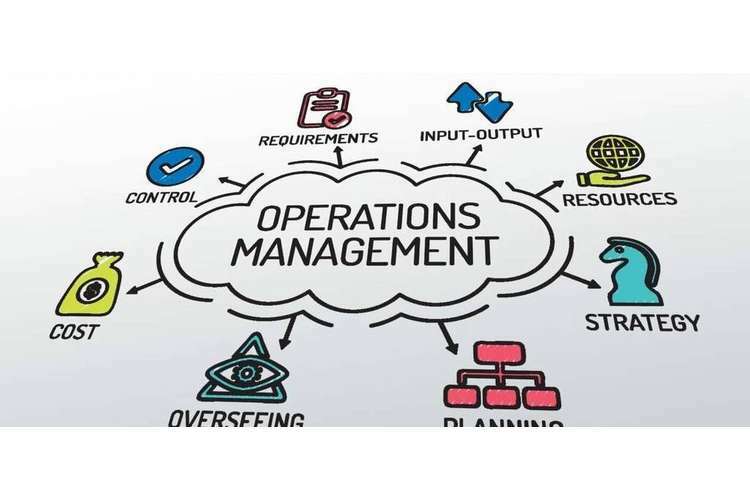 Every business enterprise executes their business operations with the help of their level of competence, capability as well as knowledge of Managing Strategic Resources and Operations Management. All companies have to compete in similar forms of business environment which tend to influence the course of business operations. Companies which can best utilize its resources typically attain a higher competitive advantageous position in the market. Such utilization, however, can be efficiently maximised by reducing waste and expenditure and also through the increase of productivity as well as a rate of operation (Pisano, 2015). Apple Inc, an American multinational company has been identified for involving the application of decisions of operations management in order to ensure that the wide-ranging aspects of the business execute in an efficient manner (Higgins & Rothstein, 2018). The following report evaluates the way risks associated to US trade policy have its implications on the business operations of Apple Inc in its supply and value chain management. In addition to this, it will analyse the responses of the global government to US trade policy and risks and threats posed to Apple Inc’s supply chains and operations. Apple Inc incorporated in the year 1977 designs, manufactures as well as markets mobile communication along with media devices and portable digital music players. Apple founded by Steven Paul Jobs has exhibited its commitment in bringing exceptional personal computing experience to educators, students, customers as well as creative experts across the world through its highly innovative hardware, software and digital offerings (Apple.com, 2018). The company’s mission statement further exhibits an exclusive core value and superiority by being the most efficient and distinctively purpose to outperform their competitors in the market. Regardless of extensive evolution that has been produced in the industry, the level of commitment and efficiency in offering innovative products have remained significantly constant. The company’s core purpose essentially centres on providing a highly comprehensive computing experience to its targeted customer stakeholders which correlates with the company’s mission statement to provide exceptional computing products for everyday customers (Apple.com, 2018). Apple constitutes a strong market orientation because of its innovative decision making that relies on customers’ needs and demands. The company has obtained huge achievements as it had been able to anticipate customers’ actual demand and expectation before a market exists for it. This level of competence has been distinctly signified in the development of iPad (Cline, 2018). The company has obtained substantial prominence for its marketing of a wide range of related software, services, third-party digital content and applications and other networking solutions. The company successfully sells and delivers digital content as well as applications through iTunes Store, Mac App, iBook Store, television APP Store and Apple Music. Apple Inc sells its broad range of products through its retail stores, online as well as the direct sales force in the course of third-party cellular network carriers, value-added resellers, wholesalers as well as retailers (Apple.com, 2018). Apple further sells a range of third-party Apple compatible goods and products which includes application software and accessories through retail as well as digital stores and sells to consumers along with small and mid-sized businesses, ventures and government consumer base (Barrabi, 2018). As the US President has initiated his administration as the 45th President of the United States, several market investors, as well as policymakers, have been speculating implications of the occurrence of Trump’s implicit threats of a trade war with China. Waters, (2018) reveal that the materialization of trade wars between the two largest economies of the world tend to pose a greater degree of harm to American companies in comparison to the Chinese business enterprises. Wide-ranging companies listed on the MSCI U.S index have a higher level of reliance for at least 10% of their sales as compared to Chinese enterprises which extensively rely on the United States for similar amount of business (Waters, 2018). Furthermore, US business firms with substantial percentage of sales are reported to generate from China and thus have higher propensity to have threats ranging from the effects of trade war. This current export issue has been identified as a critical factor for Apple’s business operations (Cline, 2018). Apple’s rapid growing division which incorporates Apple Watch, AirPods earphones and other digital accessories have been experiencing severe threats because of US President Donald Trump’s current policy proposal. The policy significantly mentions striking a 10% tariff on goods received from Chinese importation. Though Gaus, (2018) reveal that the tech group’s produced merchandise such as iPhones and Mac computers have been exempted from any forms of US levies or taxation processes. However, the digital devices which constitute the massiveness of Apple Inc’s vast ranging product unit have been experiencing extensive threats from the recent intimidating trade war posed by the US President. Furthermore, marketing analysts indicate that the company could further be forced to elevate its price range that is offered to the US consumer base (Barrabi, 2018). The price increase has been proposed to recompense for higher taxation duties relied on the Chinese manufacturing products or to exceed profit margins. Reuters, (2018)further explored that the emerging trade rhetoric between US and China has been posing extensive threats to supply chain process of Apple Inc thus leading to the company’s share price for its next manufacturing of iPhone. However, marketing analysts are of the opinion that the strike of US policymakers can also pose impacts on Apple’s competitors such as Google Home, Amazon’s Echo and Sonos along with the product range of Fitbit’s smartwatches. With the sudden deliberate growth of Apple’s iPhone, its digital accessories range has been identified as a vital source of revenue (Bbc.com, 2018). With the company’s expansion into the domain of wearable technology as well as audio accessories, Apple is expected to execute its business operations strongly into the division. However, reports by White, (2018)state that the US policymakers have pointed Apple as an important beneficiary of Trump’s policies whereby Apple’s current strategy to repatriate major proportion of its $260 billion investment and revenues much of its shareholders through the process of share exchanges. Apple Inc as an international company has been executing its operations in over 14 countries outside the United States with its fundamental focus on high end products which determinedly establish its home market in the United States as a country constituting substantial consumer expenses. The revenue growth of the company has increased considerably in China over the past year with a rise of around 30% (Reuters, 2018). However, the recent emerged US-China trade war is seen as a new challenge for suppliers of iPhone components which could greatly distress the Apple supply chain. While Taiwan Semiconductor Manufacturing Co Ltd is responsible to manufacture major proportion of Apple’s core processor chips at its manufacturing plant in Taiwan, half of its $34 billion in gross incomes are generated from its mobile devices (White, 2018). This revenue generation, however, has the propensity to be highly impacted by the threats of the US Government’s trade policy. Meanwhile, Barrabi, (2018) distinguished that Apple Inc’s suppliers without major production sites outside China have been encountering extensive risks in which electronic manufacturers like Foxconn, Wistron have also been anticipated to be under serious pressure. However, even if the taxation rate has been formulated to curtail the impact on business enterprises such as Apple Inc, it is of a high potential that a significant section of Apple’s component supply chain will face serious challenges in the export market (Gaus, 2018). Though Apple’s end products may develop the potential to escape the strict tariff net has been discarded, however, it is highly inevitable that there will be a certain degree of impact on its supply chain process as many of the company’s components involved have the tendency to get affected (Paquette, 2018). Paquette, (2018) indicates that US law provisions could facilitate the US trade policy changes in order to elevate taxation charge and further restrict imports or departure from US trade agreements without congressional acceptance. However, less divisive actions might involve stimulating the US International Trade Commission to seek trade resolutions as well as enforcement actions under current US countervailing taxation law. Businesses which essentially depend on open trade with nations which could be positioned high on US trade policy changes for unilateral trade assessments like China and Mexico will have to take such trade policy evolutions into utmost consideration (Hedrick-wong, 2018). Business enterprises, as well as investors which further rely on Foreign Trade Agreement between the US and other nations due to investment sources or other factors of current or strategized business operations, might have the tendency to be exposed to the US trade policy changes. However,(Gress, (2018) anticipate that in such an inconsistent trade environment, competitive companies are seeking for alternative options for their supply and demand chain and exploring areas of opportunities for legal resources such as World Trade Organization (WTO) proceedings. The ability to emerge economies such as China to compete with rich financial systems primarily depend on their ability to successfully avail as well as adapt the most effective technologies in the world. These conditions have led the United States to initiate these measures in the process of retaliation for China’s poor statistics on intellectual property rights protection that involves requiring multinational companies to transfer their expertise as a provision of investing in Chinese markets (Long, 2018). As a result, there has been a substantial threat for both the US and China. However, the US-China trade war would not be consequential as being a saviour for US technology or facilitate US MNCs like Apple with improved accessibilities to Chinese markets (White, 2018). Furthermore, it has been observed that though China has kept negotiations open for the United States, however negotiation can only take place when there is an importance of mutual respect with equality good faith as well as credibility. Apple Inc fundamentally focuses on extensive capacity planning to effectively achieve the company’s strategic business goals and objectives. The company has been using capacity development approach in terms of the expansion of demand (Apple.com, 2018). This strategy, however, signifies that a rise in capacity essentially relies on factors related to strategic objectives, cost of development and operations. According to Higgins & Rothstein, (2018), Apple asked its smartphone suppliers to produce between 85 million and 95 million units combined of two the newly launched iPhone models with 4.7 inch and 5.5-inch displays in 2015 (Ians, 2018). These new iPhone models have been identified as the next generation of phones following to the exceptional success of the iPhone 6 as well as iPhone 6+ that has made a substantial contribution to Apple in developing as world’s most profitable business enterprise. The company currently depends on two primary assemblers for manufacturing its smartphones. However, the capacity expansion of Apple needs to be strongly aligned with new product development. Pisano, (2015) reveal that Apple Inc has launched new iPhone models in a “ticktock” cycle in which in a tick year (2014) the company released a major design change such as the larger screen displays which featured in the models of iPhone 6 and iPhone 6+. Meanwhile, in the next ‘tock’ year (2015) Apple improved its previous strategies and designs to produce more significant transformations to the software (Higgins & Rothstein, 2018). Therefore, from the above discussion, it has been stated that Apple must publicize its investments in the Chinese financial system and purposefully create as well as support over 5 million jobs in China to maintain smooth relation with the country. The company must focus on providing a substantial level of iOS developing related employment along with iOS ecosystem-based jobs to increase the level of employment in China. Furthermore, on the basis of monetary investments in China that incorporates around $500 million assurance in setting up R&D centres in China, Apple must exhibit a substantial level of enthusiasm to appreciate Chinese regulators in comparison to other business enterprises like Alphabet along with a high level of understanding towards public opinion. 2.Barrabi. T. (2018). Apple at risk management in US-China trade conflict: report. Retrieved from https://www.foxbusiness.com/technology/apple-at-risk-in-us-china-trade-conflict-report. 3.Bbc.com. (2018). US-China trade row: What has happened so far?. Retrieved from https://www.bbc.com/news/business-44529600. 4.Cline. S. (2018). Is Apple Ready for Raleigh?. Retrieved from https://www.usnews.com/news/national-news/articles/2018-08-27/voter-id-amendment-could-affect-apples-outlook-on-raleigh. 5.Economictimes. (2018). Tariffs can bring about significant risks: Tim Cook on US-China trade war Read more at: //economictimes.indiatimes.com/articleshow/65224233.cms?utm_source=contentofinterest&utm_medium=text&utm_campaign=cppst. Retrieved from https://economictimes.indiatimes.com/news/international/business/tariffs-can-bring-about-significant-risks-tim-cook-on-us-china-trade-war/articleshow/65224233.cms. 6.Gaus. A. (2018). Why Apple Is Not as Threatened by the Brewing Trade War With China. Retrieved from https://www.thestreet.com/how-to/apple-best-defense-in-china-trade-war-tim-cook-14648742. 7.Gress. J. (2018). We estimate China only makes $8.46 from an iPhone – and that’s why Trump’s trade war is futile. Retrieved from https://theconversation.com/we-estimate-china-only-makes-8-46-from-an-iphone-and-thats-why-trumps-trade-war-is-futile-99258. 8.Hedrick-wong. (2018). How The U.S.-China Trade War Will Transform The Global Economy. Retrieved from https://www.forbes.com/sites/yuwahedrickwong/2018/07/13/how-the-u-s-china-trade-war-will-transform-the-global-economy/. 9.Higgins, B. T., & Rothstein, J. A. (2018). U.S. Patent No. 9,967,292. Washington, DC: U.S. Patent and Trademark Office. 10.Ians. (2018). Apple reportedly planning to launch 3 new iPhones soon. Retrieved from https://telecom.economictimes.indiatimes.com/news/apple-reportedly-planning-to-launch-3-new-iphones-soon/65510448. 11.Long. H. (2018). In a U.S.-China trade war, who has more to lose?. Retrieved from https://www.washingtonpost.com/news/wonk/wp/2018/04/05/china-has-more-to-lose-in-a-trade-war-but-trump-has-a-key-weakness/?utm_term=.3b15174a1eef. 12.Paquette. D. (2018). U.S. companies in China brace for more trade-war pain. Retrieved from https://www.washingtonpost.com/business/economy/american-companies-in-china-brace-for-more-trade-war-pain/2018/09/04/d161bed2-b028-11e8-a810-4d6b627c3d5d_story.html?utm_term=.40854d238b9c. 13.Pisano, G. P. (2015). You need an innovation strategy. Harvard Business Review, 93(6), 44-54. 14.Reuters. (2018). Trade war: US is putting a knife to China's neck, says top official. Retrieved from https://www.theguardian.com/business/2018/sep/25/trade-war-us-is-putting-a-knife-to-chinas-neck-says-top-official. 15.Waters. R. (2018). US tech faces big risks from Trump’s China trade war. Retrieved from https://www.ft.com/content/69570dca-966e-11e8-b67b-b8205561c3fe. 16.White. E. (2018). Trade war fears dampen Apple suppliers’ joy. Retrieved from https://www.ft.com/content/fef6256e-9560-11e8-b67b-b8205561c3fe.